Our executive team brings decades of expertise to all facets of Relativity, from customer service and security to marketing and team development. They work closely with our board of directors, who have experience leading some of the world's top technology companies. Andrew Sieja is the founder and CEO of Relativity. As Relativity embarks on a multi-year transformation into a cloud-based SaaS company, Andrew is committed to offering a great product, providing relentless customer support, and ensuring that team members love working at Relativity. Andrew also started Relativity Gives, a community outreach program that has invested nearly $2 million in education and technology causes in Chicago, London, and Krakow. A computer programmer by trade, Andrew loves technology and worked as a technologist for a variety of multi-national companies and consulting firms prior to starting Relativity. Prior to assuming the role of chief people officer, Dorie worked as a consultant for Relativity. She has helped to implement various development initiatives across the company, including our internal education program, Relativity U. As chief people officer, Dorie works closely with the human resources department to help create a stronger platform for recruiting employees and growing their skills, while also continuing to make Relativity a great place to work. Dorie serves as an adjunct professor in the Learning & Organizational Change degree programs in the School of Education and Social Policy at Northwestern University—a role for which she received the Outstanding Professor award in 2008. She graduated from Loyola University in 1995 with a master's in organizational development. Chris Brown is the chief product officer at Relativity. He leads our product and user experience teams and is responsible for the development of Relativity’s product vision, strategy, and product roadmap in collaboration with engineering. 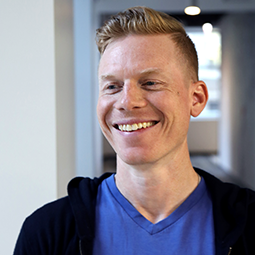 Prior to joining Relativity, Chris held CEO and chief product officer roles for fellow Chicago-based companies Kapow Events and Orbitz Worldwide, respectively - where his teams delivered transformative online platforms for global B2C and B2B customers in the corporate events and travel industries. Chris began his career in Austin, Texas where he advanced to leadership positions in software engineering and product management, and earned his initial experience as an entrepreneur. An Illinois native and electrical and computer engineering graduate from the University of Illinois in 1998, Chris has served on the ECE Illinois Alumni Board since 2017. Keith Carlson is the chief technology officer of Relativity. As head of technology and architecture strategy, Keith oversees the Engineering Delivery, Engineering Operations, and Production Engineering functions. In his career, Keith has been a co-founder, programmer, team lead, principal engineer and chief technology officer. He most recently spent 7 plus years at Amazon Web Services where he developed one of the first cloud fraud prevention and detection organizations and grew it to where it was evaluating ten trillion pieces of data a day. Keith is excited to apply his extensive developer experience to help mature RelativityOne’s SaaS delivery model and expand Relativity’s reach into the unstructured data realm. Amanda joined the Relativity team in 2018 as chief security officer. In her role, Amanda is responsible for championing and directing security strategy in risk management and compliance practices. Prior to joining Relativity, Amanda served as the global head of cyber response and digital forensics at Zurich Insurance Company. She also held several management and consulting positions at Symantec, Dell SecureWorks, Booz Allen Hamilton, and Guidance Software. Amanda received her masters of forensic science in the field of Digital Forensics: High-Technology Crime Investigation at the George Washington University. Keith, who joined the Relativity team in 2013, is an Illinois native, but spent 1990-2012 working and living throughout Georgia, Texas, and Massachusetts. He made his return to the Midwest through Relativity, where—to put it in his words—he “supports all of Relativity by driving the core values of Relativity throughout Relativity.” A CPA since 1985, Keith boasts a long history of managing financial operations, including serving seven years as the CFO of Encore Discovery Solutions-a company that provides tools for ESI processing and hosting. Nick is the chief operating officer at Relativity. He leads a customer group made up of four primary customer-facing departments: sales, marketing, customer success and support, and commercial platform. He is responsible for driving overall company growth and delivering an exceptional customer experience for the global Relativity community. Nick joined Relativity as vice president for sales and marketing in 2007 and helped build those functions at the company from the ground up. Before joining Relativity, he served as vice president of technical services for Forensicon, a Chicago-based computer forensics firm providing investigative services in the areas of fraud and white-collar crime. Has four kids whose names are rooted in American music—Townes, Rosalee, Chet, and Nick Jr.
As CIO, Andrew provides leadership in building and supporting Relativity’s information technology along with governance and compliance processes. He joined the company in 2016 as vice president of information technology to oversee the IT department comprising of three groups: applications, infrastructure, and project management. Andrew has more than 20 years of experience in IT. Prior to joining Relativity in 2016, he served as the director of IT at Morningstar, an investment research and management firm. At Morningstar, he oversaw a 200-person IT department, lead the information technology aspects of 30 acquisitions and two divestures, and implemented both major system enhancements and significant technology and security improvements. Before moving to Chicago, Andrew held several IT positions in Australia, his home country, at companies including WorldxChange, New Tel, and SingTel. Andrew holds a computer science degree from the University of Technology Sydney. Marcin joined the Relativity team in 2017 as vice president of strategy and business operations. Marcin's team is responsible for developing corporate and commercial strategy, making sure that the strategy is well understood throughout the organization, driving the execution of the strategy in collaboration with the teams across the company, and leading our annual planning process. Prior to joining Relativity, Marcin spent nine years at Bain & Company, where he was advising executive teams of Fortune 500, private equity and privately owned portfolio companies on their full potential and growth strategy across North America, Europe, and Asia. In 2012 he co-founded Bain Poland, new consulting office covering Central and Eastern Europe (CEE). Marcin received his MBA degree from Stephen M. Ross School of Business at the University of Michigan. Relativity's board includes some of the most sought after talent and expertise in enterprise software with experience from some of the world's leading technology companies. They are trusted advisors, providing valuable input on strategy and operations in order to help Relativity grow effectively and responsibly as we deliver on our mission of being the e-discovery software company. Tim joins the Relativity team as an accomplished executive leader after more than 32 years with KPMG —a global network of professional firms, with 189,000 people providing audit, tax and, advisory services in 152 countries. He was Chairman of KPMG International from 2007 until 2011. In this role, he led the global executive team responsible for the management and operations, and chaired the global board responsible for the strategy, oversight, and governance of the global network. During his career with KPMG, Tim held several senior leadership positions, including Chairman and CEO of KPMG LLP, the U.S. and largest member firm of KPMG International, Global Vice Chair Audit and Advisory Services, and Global Vice Chair of Human Resources for KPMG International. He brings significant directorship experience, including current service on the boards of Walmart Stores Inc., JP Morgan Chase & Co., Alcoa Corporation, and United Healthcare Group. He also previously served as a Trustee of the Financial Accounting Standards Board and as a member of the World Economic Forum's International Business Council. Tim earned his bachelor's degree in accounting from the University of St. Thomas in St. Paul, Minnesota, where he currently serves on the school's Board of Trustees. Joining the Relativity team in 2017, Mike brings over 20 years of recruitment, sales, and product marketing experience to the Relativity Advisory Board. In his current role at LinkedIn, Mike oversees LinkedIn’s Global Solutions Organization (GSO) for its more than 30 offices worldwide, focusing on servicing corporate customers in three primary areas – Talent Solutions, Marketing Solutions, and Sales Solutions. Before LinkedIn, Mike was director of product marketing at Advent Software, a provider of enterprise software for investment managers, where he led the Trading and Order Management business. Mike received his Bachelor’s Degree from Amherst College. Matt is a general partner at ICONIQ Capital investing in enterprise software, SaaS , ecommerce, and mobile companies. Prior to ICONIQ, Matt held operating roles at Groupon and investing roles at Battery Ventures and Technology Crossover Ventures. Matt's investments include Sprinklr, Datadog, Uber, Intercom, Age of Learning, Pluralsight, Fastly, Coupa, GoFundMe, Alibaba Group, DocuSign, Flipkart, Honest Company, Red Ventures, Groupon, HomeAway, Warby Parker, Automattic, Campaign Monitor, VMTurbo, Greensky Financial, Apttus, Blackline Systems, Wayfair, Spothero, Yesware, and Smartling. Kent comes to Relativity with more than 30 years of leadership and operating experience. He has helped scale and grow enterprise software companies as an executive leader, investor, and independent board member, at companies such as Ariba, FreeMarkets, aPriori, Avetta, BusinesSolver, Curvo Labs, and Freightquote.com. Kent's most recent operating role was as chief operating officer of Ariba, where he helped lead the software company's transformation to a cloud technology business model, concluding with the sale of the company to SAP in 2012. His experiences outside of the technology industry include helping build and grow Caribou Coffee, as well as numerous leadership positions at Textron and United Technologies. Kent earned his bachelor's degree in mechanical engineering from the University of Evansville and his MBA from the Tuck School at Dartmouth College. Caroline is a Vice President at ICONIQ Capital focused on horizontal and vertical SaaS, infrastructure software, internet and financial technology companies. Prior to ICONIQ, Caroline covered financial institutions and healthcare for Morgan Stanley out of Asia Pacific and the west coast. Caroline’s investments include Datadog, Braze (formerly Appboy), GitLab, Alteryx (NYSE: AYX), InVision, Sprinklr, Alibaba (NYSE: BABA), Apttus, Smartling and others.